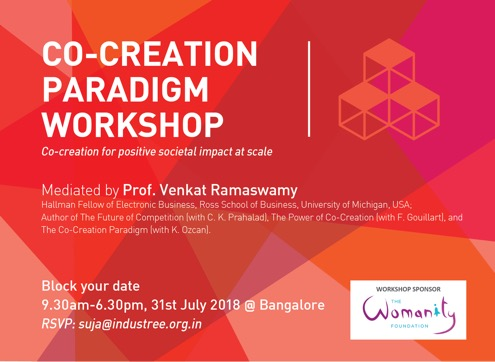 Industree Co-Creation Paradigm Workshop, July 31, 2018. Video blurb at the India Philanthropic Initiative. 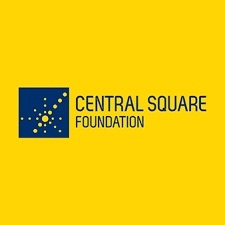 Conducted a seminar on Co-Creation at Central Square Foundation, New Delhi, India. 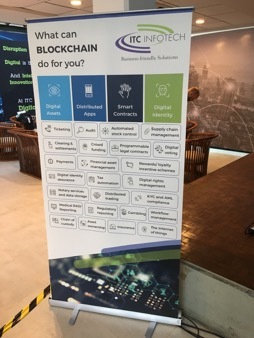 Participated at the ITC Infotech Blockchain event, India. 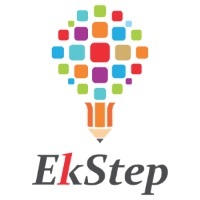 Conduced a seminar on Co-Creation at the EkStep Foundation, Bengaluru, India. Keynote on Taking Design Thinking to the Next Level at the U-Sentric Human-centered Design Summit, Leuven, Belgium. Thanks to Annita Beysen, CEO U-Sentric. 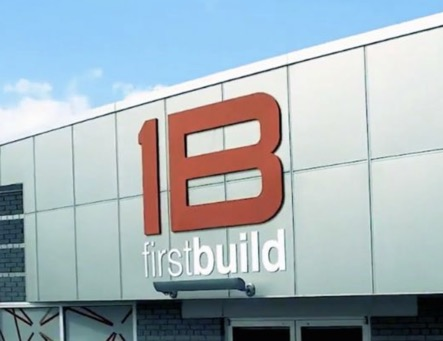 Engaged with GE-Haier FirstBuild in Louisville, Kentucky. Conducted a workshop at the Ross Positive Business Conference 2017. 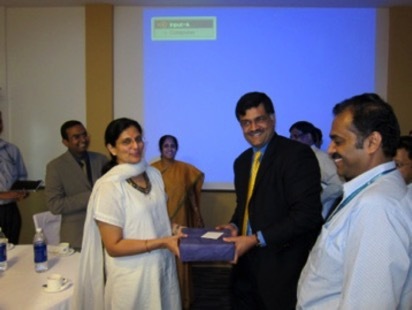 Engaged with senior leadership and executives at ITC Infotech, India. 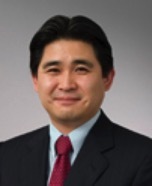 Interview and Discussion of Executive Survey on Co-Creation for Hitachi Report. 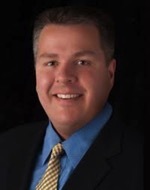 Article by Joe Wheeler, Service Profit Chain Institute. Article in CEO Daily by Jon Wheeler. Engagement with the Clarion group and Catroina Wallace at the CX-VCC Forum. 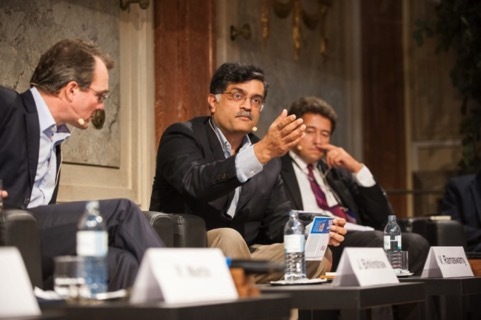 Gave a keynote at the Open Innovation 2015 Conference. Conducted a workshop at the Ross Positive Business Conference. 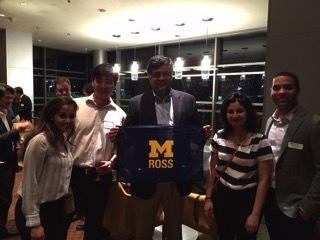 Engaged with Ross alumni in Sao Paulo, Brazil. Engagement with the Clarion group and Catroina Wallace in NYC. 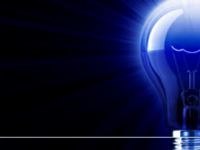 Featured research with the Leading Edge Forum. Engagement with the Clarion group. 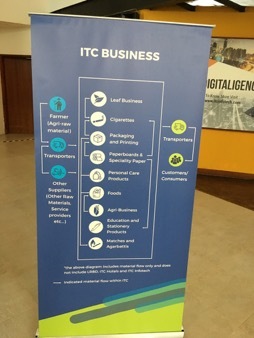 Follow up engagement with ITC businesses following ITC senior management workshop. 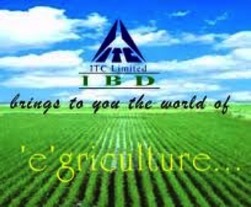 Engaged with senior management of all ITC businesses on Building a Culture of Co-creation. 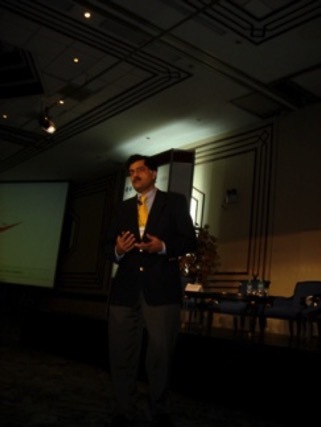 Gave a keynote speech on Co-Creating Value With Your Customers and Stakeholders. 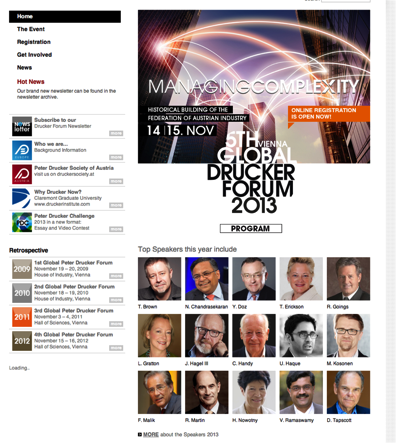 Participation in the 5th Global Peter Drucker Forum, Vienna, on Managing Complexity. Special thanks to Richard Straub. 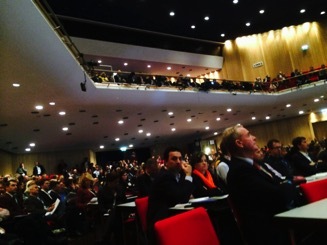 Participation in the InnovationsKongress, Carinthia, on The Art of Innovation. Special thanks to Martin Maitz. 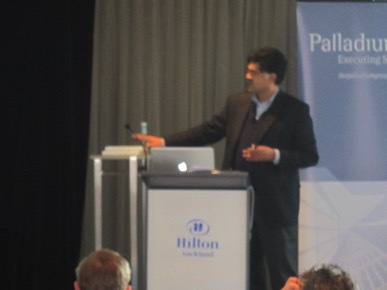 Keynote on Embracing Co-Creation for Innovation and Value Creation, at the Palladium 2013 Global Summit: Executing Strategy in a Changing World, in Boston. Special thanks to Matt Tice. Thanks also to Adam Zawel. 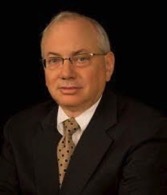 Conversation on Co-Creation and Strategic Risk Management with Mark Frigo, Director of the Center for Strategy, Execution and Valuation and Director of the Strategic Risk Management Lab in the Kellstadt Graduate School of Business at DePaul University in Chicago. 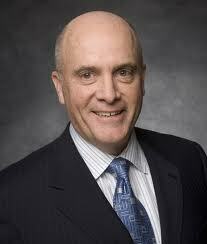 He is Ledger & Quill Alumni Foundation Distinguished Professor of Strategy and Leadership at DePaul. Thanks to Richard Salisbury, video producer. 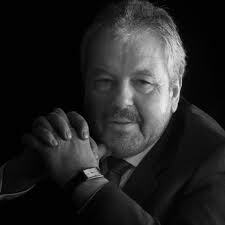 Webinar preceding the Palladium 2013 Global Summit: Executing Strategy in a Changing World. Thanks to Jackie Albrecht, Diana Bolick, and Lenny Sanchez. 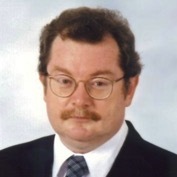 Special thanks to Matt Tice for the introduction and moderation. 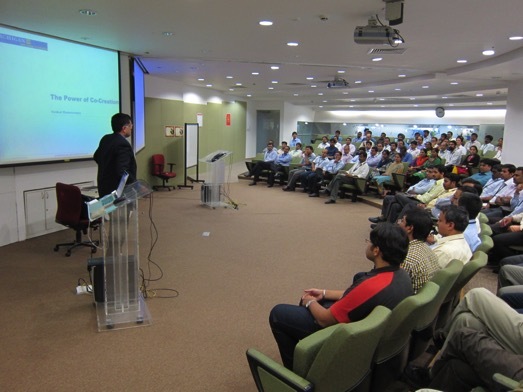 Gave a talk and engaged with senior managers at Mahindra Reva, Bangalore. Keynote on Embracing Co-Creation in Public Innovation and Value Creation at the SBGC CONGEP Annual Congress in Brasilia, Brazil. Gave a keynote at the Ross Technology and Business Innovation Forum. 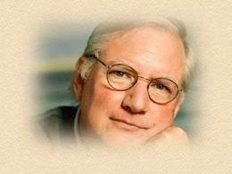 Special Thanks to Dennis Severance. 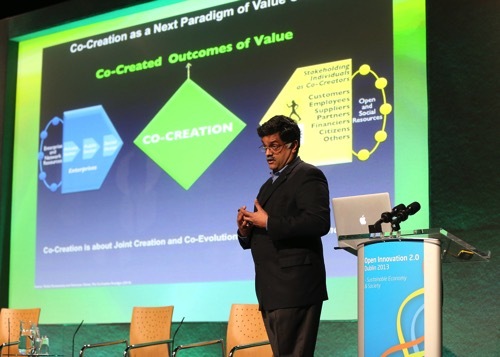 Gave a keynote at the Open Innovation 2.0 Summit on Embracing Co-Creation in Open Innovation. Thanks to Martin Curley and Bror Salmelin. 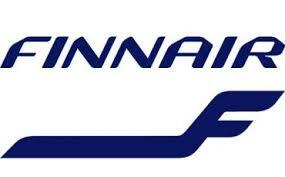 Interviewed in Finnair Blue Wings Magazine. 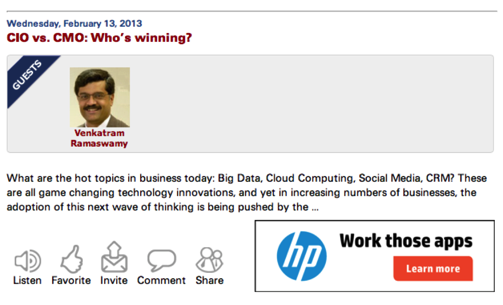 What are the hot topics in business today: Big Data, Cloud Computing, Social Media, CRM? These are all game changing technology innovations, and yet in increasing numbers of businesses, the adoption of this next wave of thinking is being pushed by the Marketing department, not IT. CIOs have a seat at the table, but have they been able to demonstrate the value of these technologies in the way that CMOs have? On the other hand, Marketing has been driving the ideas, but don’t they need IT’s support to fully deliver what they promise? 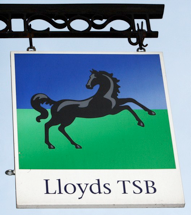 Who then is winning the race in value creation? 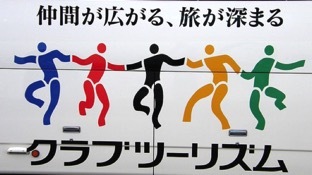 Is this even a race? Gave a talk in the POS Links Seminar Series on Bringing a Positive Lens to Business: Co-Creation Based View of Enterprises. 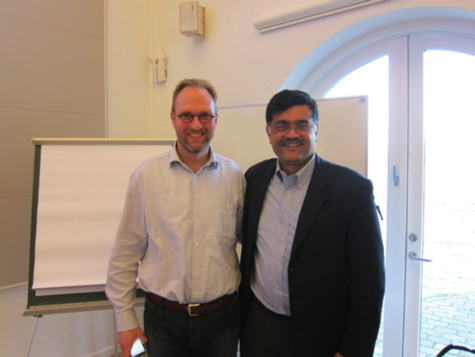 Conducted a Tantum Workshop at IMD, Lausanne, Switzerland. 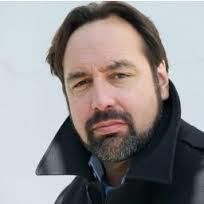 Thanks to Bill Fischer (and Mathias Mangels and Alexandre Grutman). 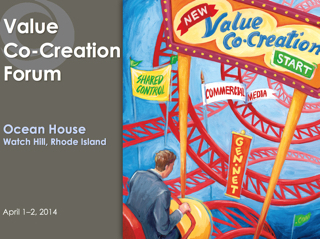 Gave a keynote on The Co-Creation Paradigm of Value Creation. Gave a talk on Co-Creation at ICRM. 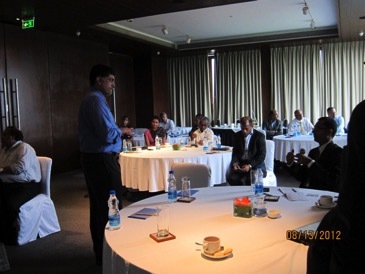 Engaged with CEOs and senior leaders at Future Sights, Bangalore on Co-Creating India 2030. 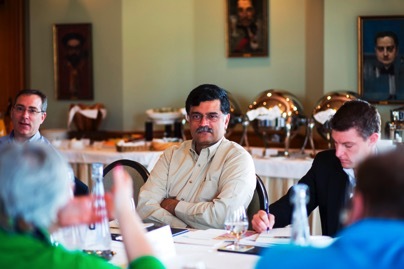 Engaged with Business Heads and Senior Executives at a CII-ITC Workshop on Innovation, Sustainability, and Co-Creation. 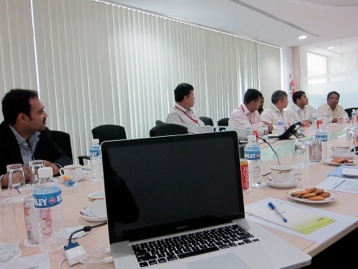 Engaged with Mahindra R&D in Chennai, India, on Co-Creation. 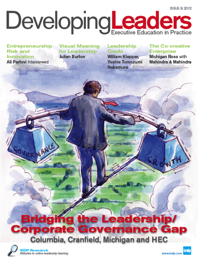 Interview-based article on Mahindra’s Co-Creative Transformation in Developing Leaders: Executive Education in Practice. Conducted a Tantum Co-Creation Workshop. 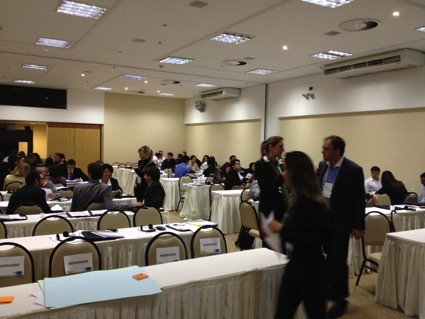 Gave a presentation and engaged in a dialogue with Jorge Gerdau, Brazil. 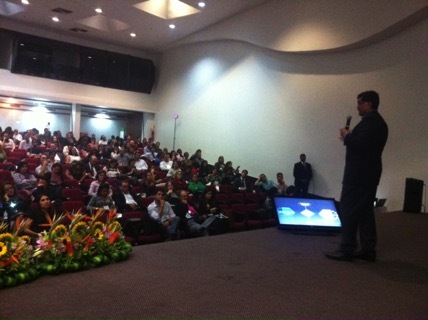 Keynote at a Public Sector Conference in Brasilia, Brazil, followed by a Workshop. 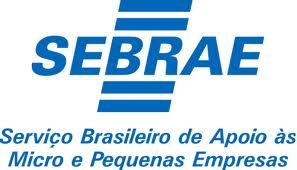 Engaged with executives at SEBRAE, in the Brazilian public sector. 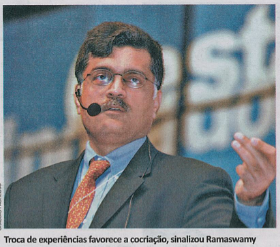 Gave a keynote speech at the American Chamber of Commerce, Sao Paulo, Brazil. 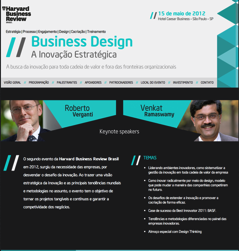 Gave a Keynote Speech at the Harvard Business Review Business Design Conference in São Paulo, Brazil. 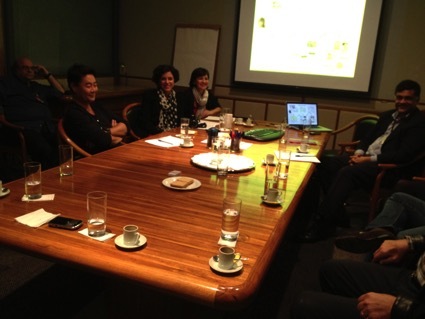 Engaged with senior management Marisa, Brazil, courtesy Andre Coutinho. 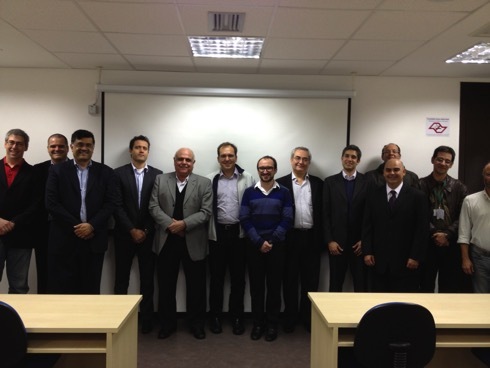 Gave a talk and engaged with Faculty and Students at the Complexity Science Group, Business School São Paulo. 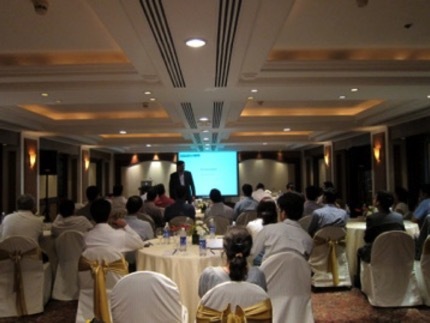 Conducted a workshop for Novartis, along with Mathias Mangels, Tantum and Francis Kurz, Exclusive Experience. Gave a talk and conducted a Tantum workshop on Co-Creation and Innovation in Bogota, Colombia. 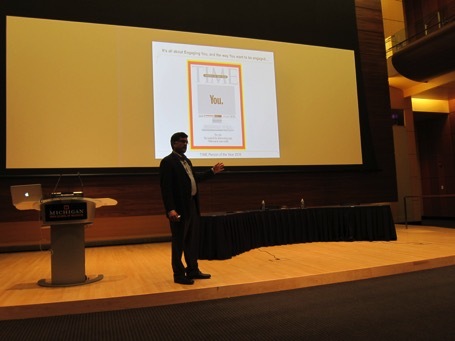 Presented to faculty and doctoral students on “A Theory of Co-Creation” at the Ross School of Business. Participated in an internal event exposing and engaging over a thousand people in the Mahindra enterprise ecosystem to the ongoing transformational journey of “Rise thru Co-Creation”. Thanks to Naveen Chopra and the whole extended team for organizing this big event. Gave a keynote on Brands and Co-Creation of Value, and was felicitated at the World Brand Congress, India. 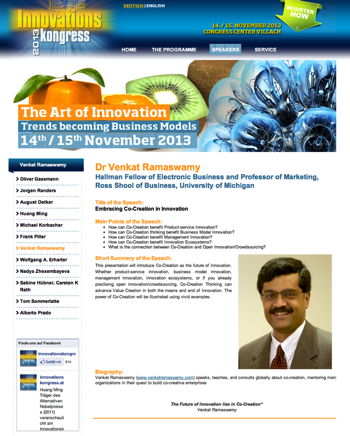 Keynote speaker at Wharton Innovation through Co-Creation Conference. Thanks to Harbir Singh, George Day and the Mack Center. Engaged with Ross alumni in Pittsburgh. Engaged with alumni at the Ross Alumni Re-Union 2011. Thanks to Cheri Alexander and Melanie Barnett. Keynote session at the internal Elkhart-Memorial Board Forum, following the merger of Elkhart General Hospital and Memorial Hospital & Health System, into the Beacon Health System. Engaged with Dieter Schadenberger on Risk Management through Co-Creation. Thanks to Mathias Mangels and Matthias Uebel. 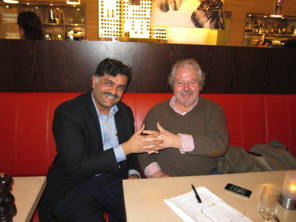 Engaged with the CEO of Eternit in Frankfurt. 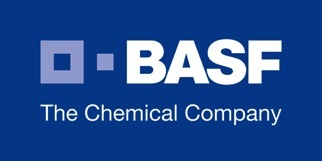 Thanks to Mathias Mangels, Matthias Uebel, and B&M Consulting. Thanks to Mathias Mangels and Alexandre Grutman. Conducted a Tantum workshop on Co-Creation, with Mathias Mangels. 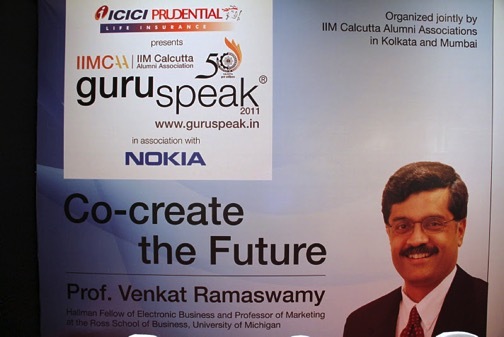 Keynote speaker at GuruSpeak 2011 and the 50th anniversary of IIMC in Kolkata and Mumbai. Thanks to Anirban Datta for organizing it. 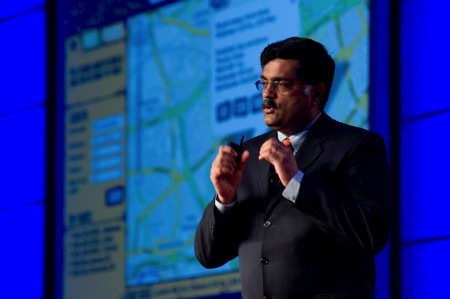 Gave a keynote speech at Infosys Connect, Las Vegas, on the future of IT and Co-Creation. 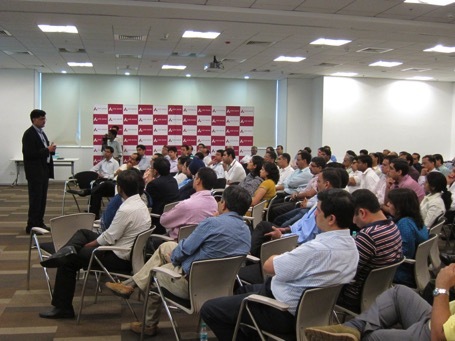 Gave a talk and engaged with Axis Bank, Mumbai. Thanks to Hari Athawale for organizing it. Gave a keynote on Co-Creation of Value. A unique aspect of this conference was that it was co-hosted by Local Motors at their Phoenix, Arizona micro-factory where I got to engage with Jay Rogers, CEO of Local Motors. 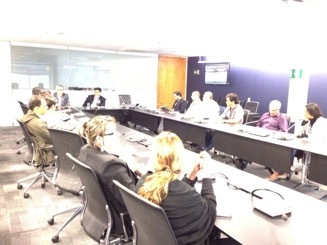 Made a presentation and engaged with public sector entities in Brazil via videoconference. Thanks to Andre Coutinho for organizing it. 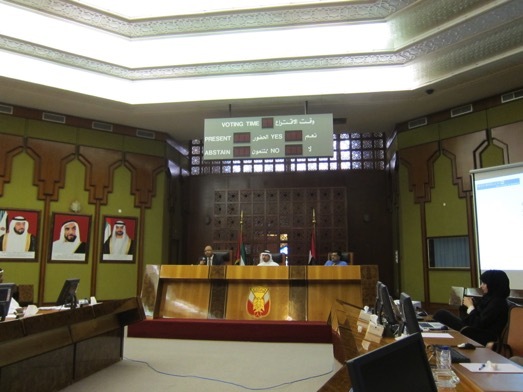 Engaged with the government ministries in Abu Dhabi and gave a talk at the Dubai Prime Minister’s Office, U. A. E.
Thanks to Omar Shroof and Mathias Mangels. 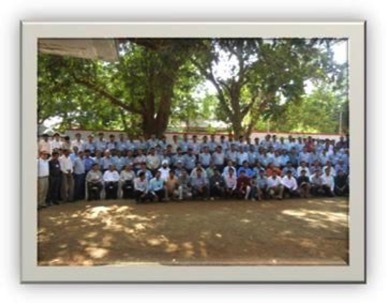 Mahindra Rise thru Co-Creation Workshop in Igatpuri. 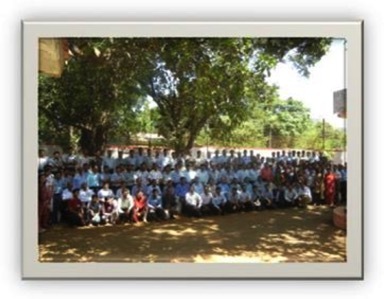 About 350 people attended -- in two batches involving Mahindra suppliers, dealers, and employees. 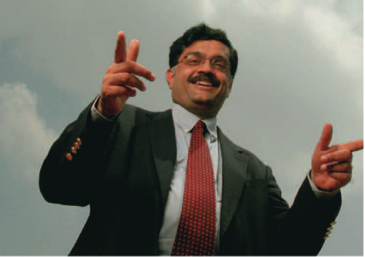 Naveen Chopra spearheaded this from the Mahindra side and it was inaugurated by Allen Sequeira. 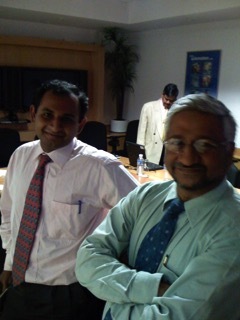 Many thanks to Naveen and his extended team (see photos) for all their efforts, and Allen for his support. Open live session with multiple internal units. Thanks to Simon Towers, Manish Srivastava, and Manjunatha Kukkuru, for organizing it. Thanks to Matt Tice for organizing it. Thanks to Magdalena Toth, Silivia Azar, Mathieu Liminana, Susan Officer, and the rest of the team. 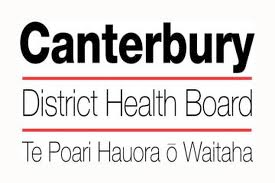 Engaged with folks at the Canterbury Health Care System at the Princess Margaret Hospital. 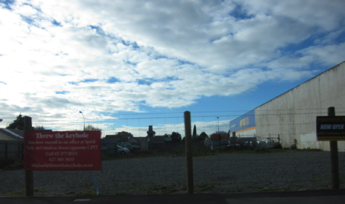 Engaged with people passionate about the future of Christchurch. Thanks to Roger Dennis for organizing an eclectic group. 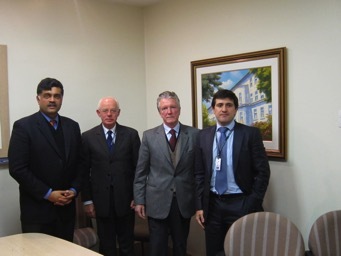 Engaged with Peter McNeil, COO and the senior management of Super Partners, Australia. Thanks to Dale Pierce and Matt Tice. 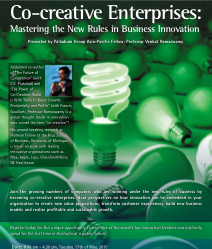 Co-Creative Enterprises: Mastering the New Rules in Business Innovation. Thanks also to Magdalena Toth, Silivia Azar, Mathieu Liminana, Susan Officer, and the rest of the team. 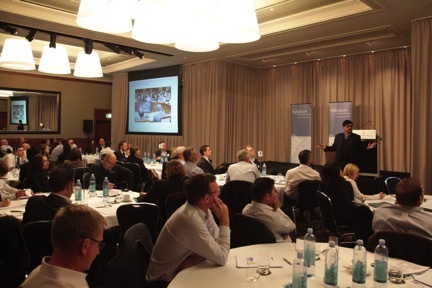 Engaged with over 90 CEOs through the CEO Institute, Sydney, Australia. Thanks to Palladium and Deloitte. 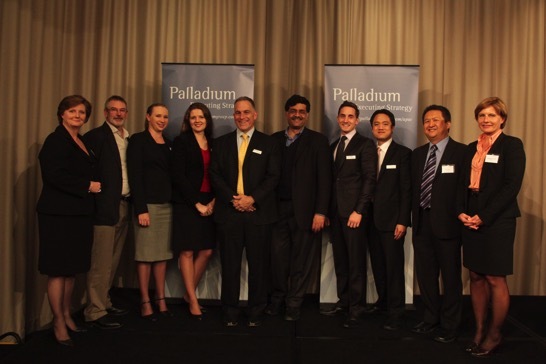 Corporate engagement with Pfizer, Australia, a Palladium client. 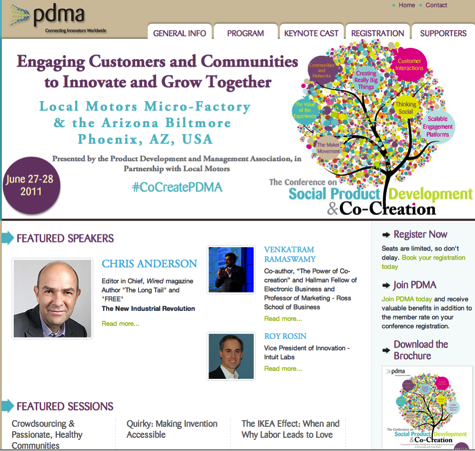 Palladium Video Series on Co-Creation - Innovation in 7 parts. 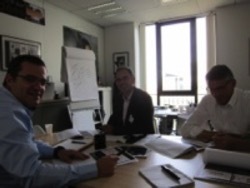 Engaged with 100% Open, LEGO’s Erik Hansen, and David Richards at Orange Telecom. Thanks to David Simoes-Brown and Roland Harwood. O mercado te deixa inovar? 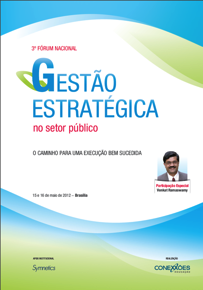 Mention in Book Review on Innovation - Brazil. Engaged with Lease Plan through The Co-Creation Academy. Thanks to Albert Boswijk and Chris Parker. Gave a talk at Favela Fabric, Amsterdam. Thanks to Albert Boswijk and Raul Lansink. Gave a talk at Mindtree Consulting Bangalore. 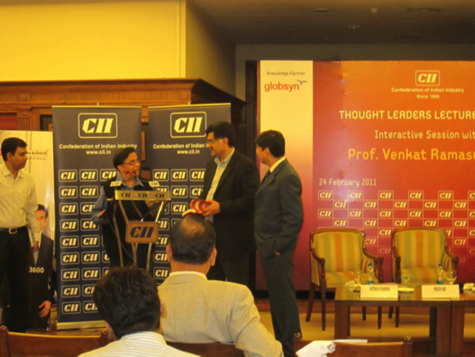 Gave a talk in the CII-Globsyn Thought Leaders Lecture Series in Kolkata, India. 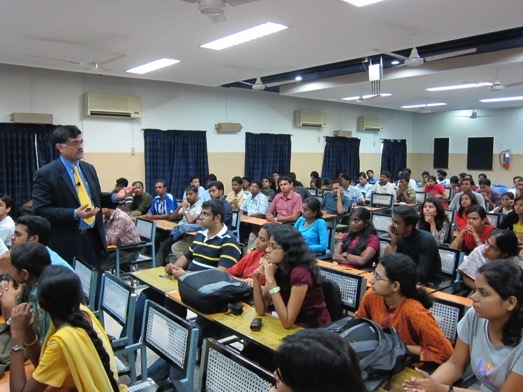 Gave a talk to students and engaged with the faculty at Globsyn, Kolkata, India. Thanks to Pratip Kar, Subhendu Dey, and Oindrila Dasgupta. 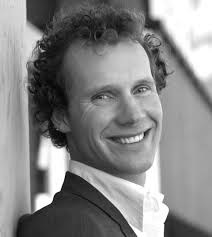 Video Interview by Klaas Weima. 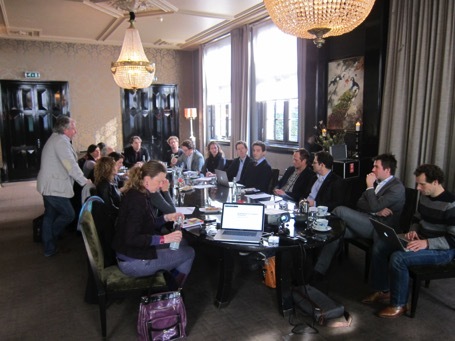 Launch of Co-Creation Academy by Albert Boswijk in Amsterdam. 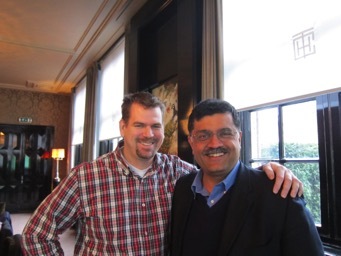 Thanks to Albert for an Experience Innovation tour of Amsterdam. 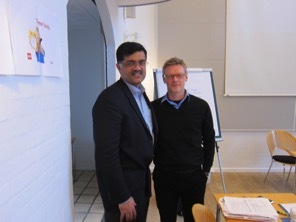 Engaged with Jørgen Vig Knudstorp, CEO, LEGO and the top management team at their internal LEGO Innovation Summit. Special thanks to Per Hjuler. 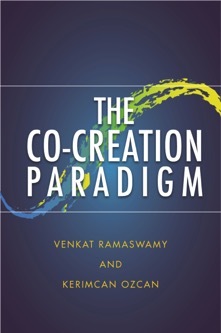 Book review of The Power of Co-Creation and interview. 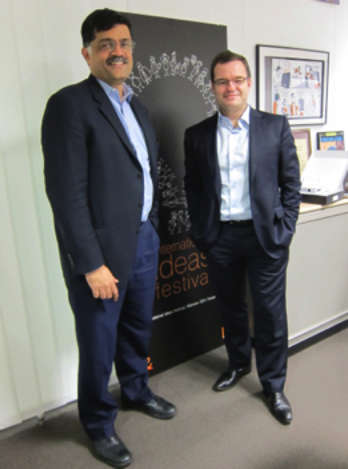 Engaged with David Richards at Orange Telecom, Paris. David is the brainchild behind idClic. Gave a breakfast series talk to Harvard and Wharton alumni through the Harvard Business School Alumni Club of Washington DC, organized by PRTM. Thanks to Doug Billings and Jeff Gruen for organizing this event. Engaged with PRTM and its invited clients in Washington DC. 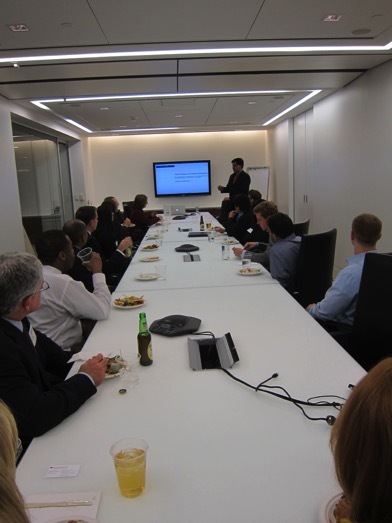 Gave a talk at McKinsey in Washington DC, organized by the Ross alumni club. Thanks to Sean Mulligan and John Copeland at Ross, and to Ross alumni for their participation. 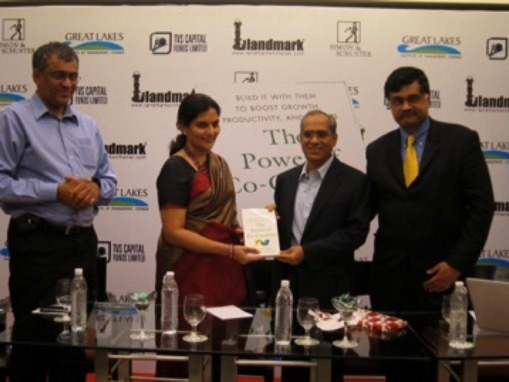 Outlook Business Book Review of The Power of Co-Creation by Lakshmi Narayanan, Vice Chairman, Cognizant. 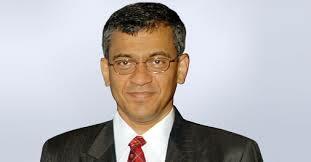 Guru Speak Interview by Sriram Srinivasan. 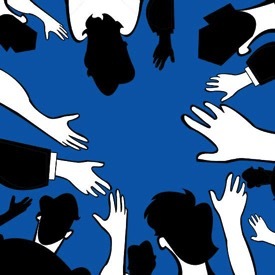 Article based on The Power of Co-Creation - Part 2. 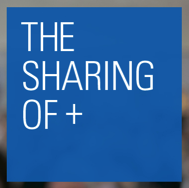 Blog on platforms for co-creation. 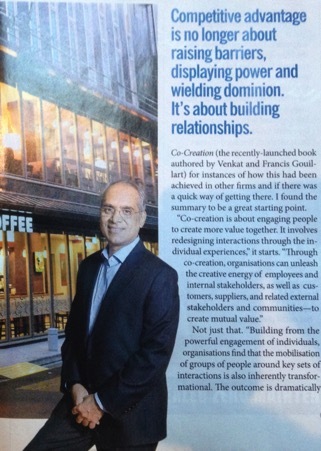 Article based on The Power of Co-Creation. Gave a talk and participated in the prospective students and alumni event, and dinner with alumni afterwards. Gave a talk at Loyola College, Chennai. 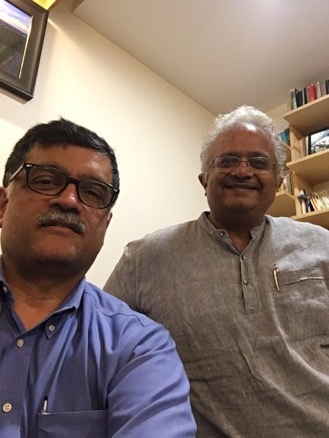 Thanks to Gopal Srinivasan for organizing this event. 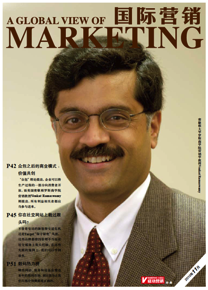 Article on The Power of Co-Creation in VMarketing, China. 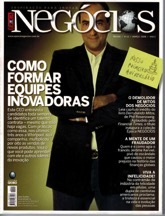 “Co-Creation” chosen as one of the best business ideas in the last 15 years by HSM. 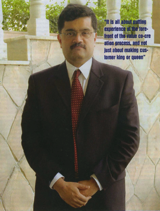 Interview by Vinay Kamath - Part 2. 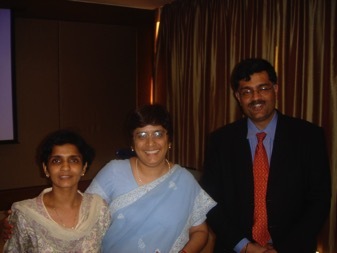 Engaged with Preetha Reddy (MD Apollo Hospitals) and her team in Chennai. 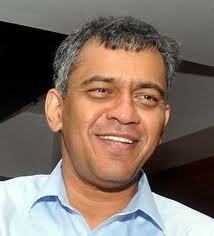 Thanks to Gopal Srinivasan for his support in organizing this event. Gave a talk at the Great Lakes Institute, Chennai. 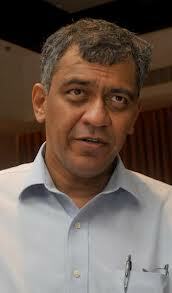 Thanks to Gopal Srinivasan for his support, and Adithya, in organizing this event. Participated in Ross-CII India@75 World Club Day event in Delhi. Gave a talk and participated in the prospective students and alumni event in Mumbai. Engaged in a discussion with the Pune Development Authority, India on the Power of Co-Creation across the private-public sectors. 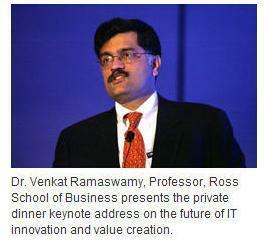 Hosted by Infosys, TCS, and Wipro. Gave a talk and engaged with participants afterwards on the Power of Co-Creation. 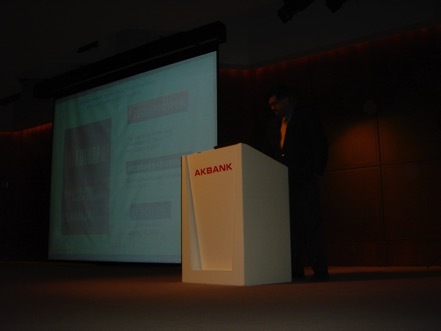 Gave a talk at ABB on The Power of Co-Creation. Engaged with folks at IIL Bangalore. 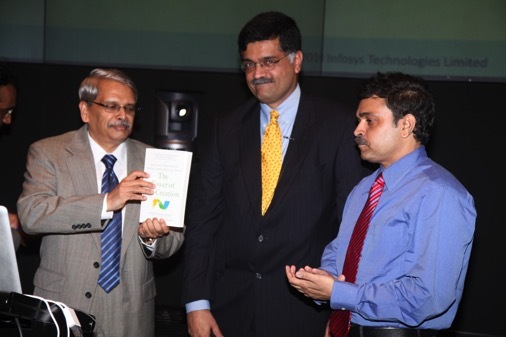 Launch of Infosys Labs’ Innovation Co-Creation microsite at Infosys campus, Bangalore. 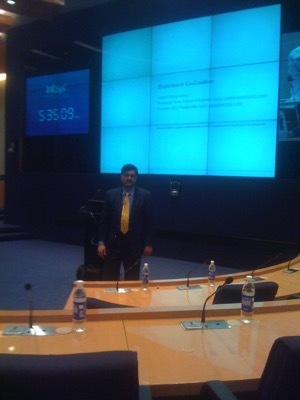 Conducted workshops on Co-Creation of Value and Innovation Co-Creation at Infosys campus, Bangalore. 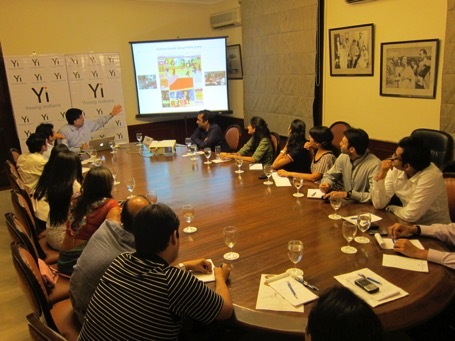 Engaged with Young Entrepreneurs on the Power of Co-Creation in Kolkata, India. Thanks to Ritesh Bawri and Sanjay Mirchandani. 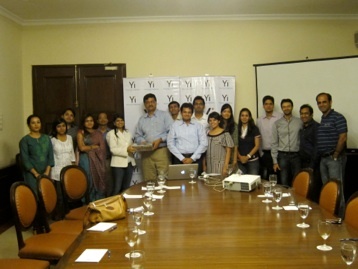 Engaged with Young Indians on the Power of Co-Creation in Kolkata, India. On The Power of Co-Creation. Keynote at the Ross School-Executive Education ReUnion. 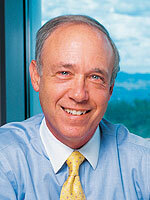 Interview in Strategic Finance conducted by Dr. Mark L. Frigo. 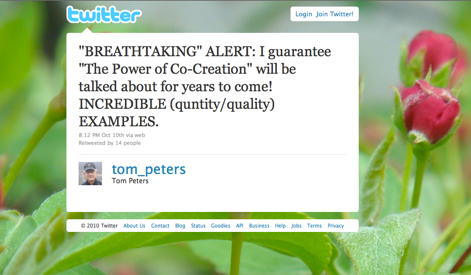 Tweet from Tom Peters after reading the book. 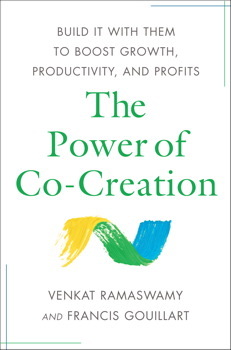 Review of The Power of Co-Creation. Engaged with clients of PRTM in the Hi-Tech sector at a luncheon event on the topic of Co-Creation and Building the Co-Creative Enterprise. 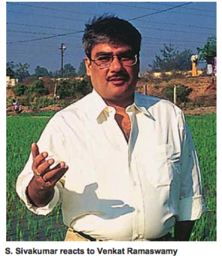 Interview in Outlook with Ashish Kumar Sen, Outlook magazine. 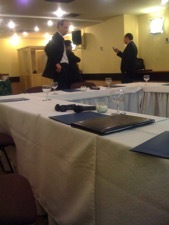 Engaged with clients of PRTM in New York City. Coach John G. Agno on The Power of Co-Creation. 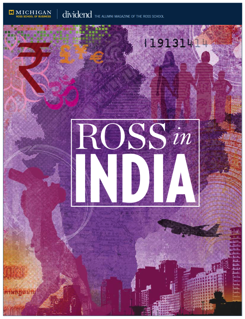 Talk and “soft launch” of the Power of Co-Creation book at the Ross India Business Conference, Ann Arbor, Michigan. Interview in São Paulo, Brazil. Conducted an executive program for the SLP Consortium in Lonavla. Organized by Aditya Birla Group. 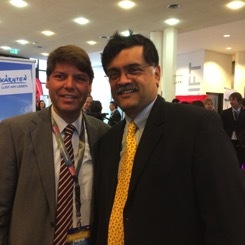 Engaged with Dr. João Polanczyk , CEO, Hospital Moinhos de Vento, senior management, doctors, nurses, and other stakeholders in the HMV health care system. Thanks to Andre Coutinho and Rogerio Caiuby. Coverage in the the Porto Alegre newspaper. 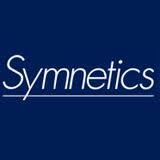 Thanks to André Ribeiro Coutinho at Symnetics. 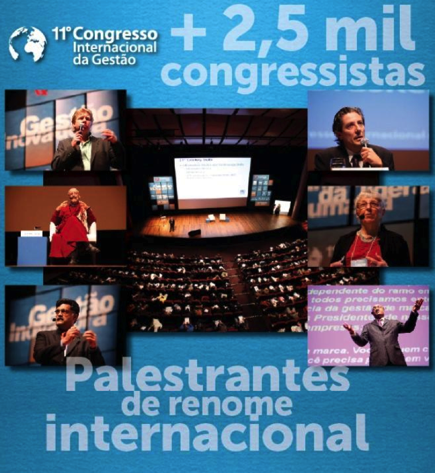 Gave a keynote at the PGQP 11º Congresso Internacional da Gestão, Porto Alegre. 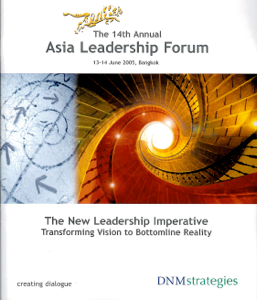 Keynote at the SAMA 46th Annual Conference 2010. 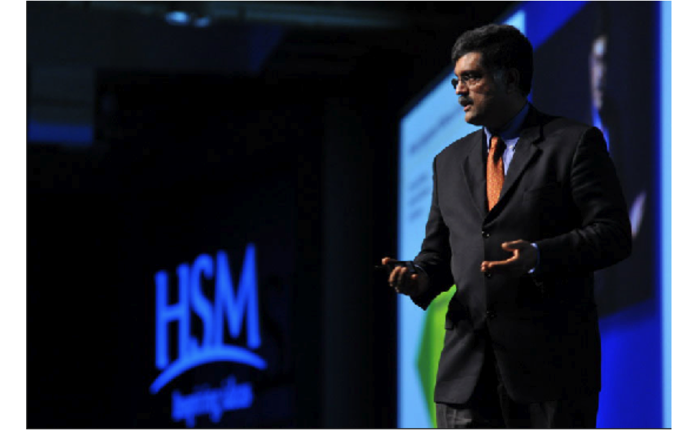 Engaged with HSBC on “Co-Creation” at a global gathering of senior managers in Singapore. 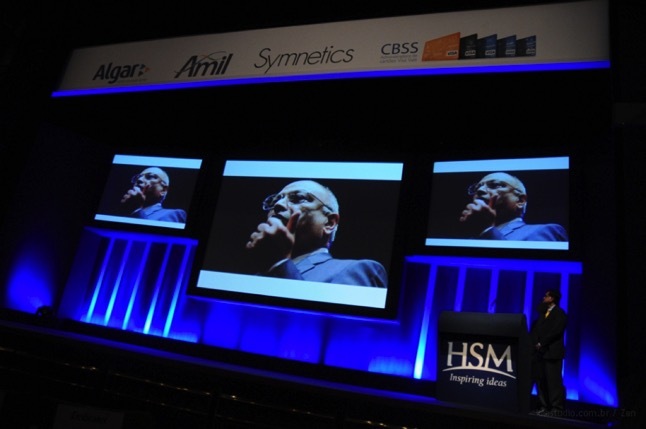 Gave a Keynote on Co-Creating the Future at the HSM ExpoManagement Summit in Sao Paulo, Brazil. 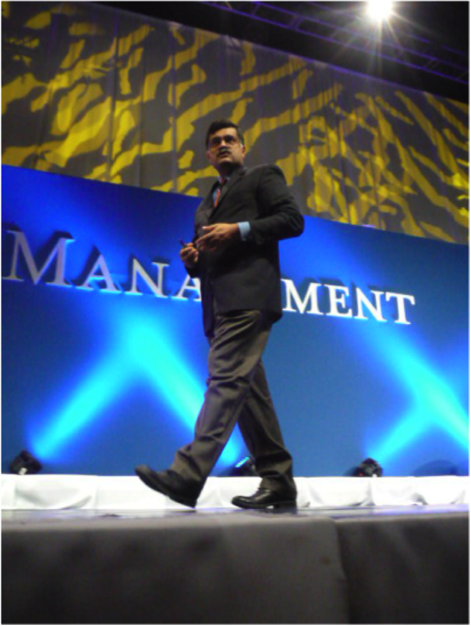 Gave a Keynote on Co-Creating the Future at the HSM ExpoManagement Summit in Mexico City, Mexico. 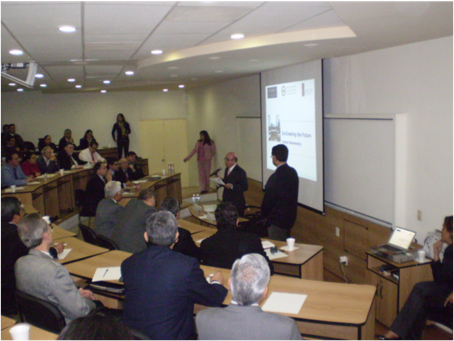 Gave a talk on Co-Creation and Educational and Public Administration at INAP, Mexico. 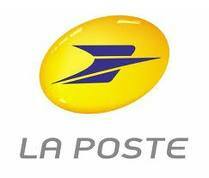 On the ongoing transformation of La Poste Retail post offices in France -- the transformation of La Poste Retail was enabled by The Experience Co-Creation Partnership. 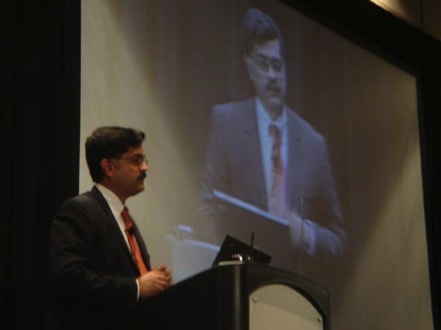 Gave a keynote and engaged with clients of Infosys in Chicago, on “Customer Engagement and Co-Creation”. 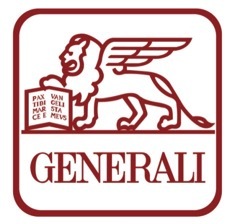 Conducted a workshop for the Generali Group Innovation Academy in Madrid. Gave a talk at SAMA on “Co-Creation and Strategic Account Management”. 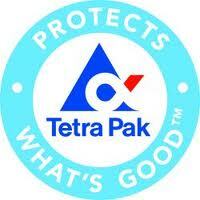 Engaged with enterprises in the food industry at the Tetra Pak CEO Forum, Davos, through Epiphanies. 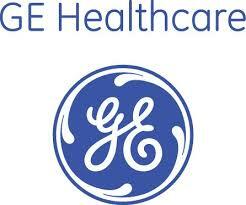 Engaged with Robert Kulis, OIC small business customers, and business partners, as part of the GE Beyond initiative. 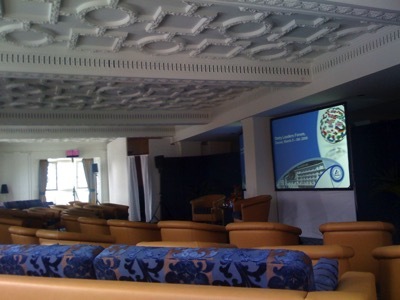 Gave a talk at the Otago Forum. 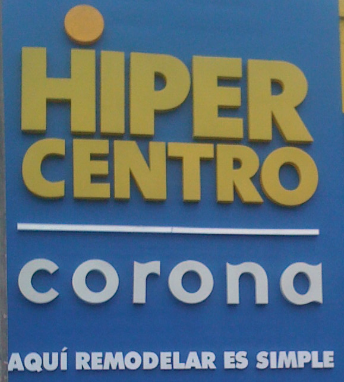 Visited and engaged with management at Hiper Centro. 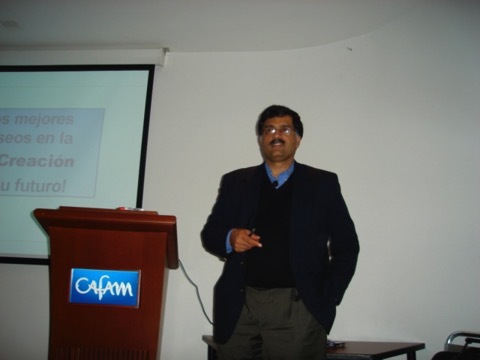 Engaged with CAFAM in Bogota, Colombia. 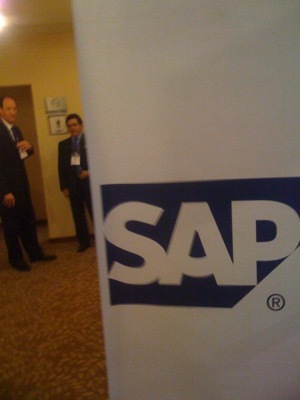 Visited and engaged with management at Hiper Centro, Bogota. 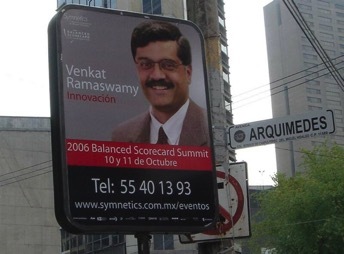 Gave a keynote and engaged in discussions at a Tantum-Symnetics sponsored event on “Co-Creation” in Bogota, Colombia. Keynote on Co-Creation. Thanks to Francis Gouillart and the Experience Co-Creation Partnership, as well as Isabelle Steinmann at Predica, Credit Agricole. 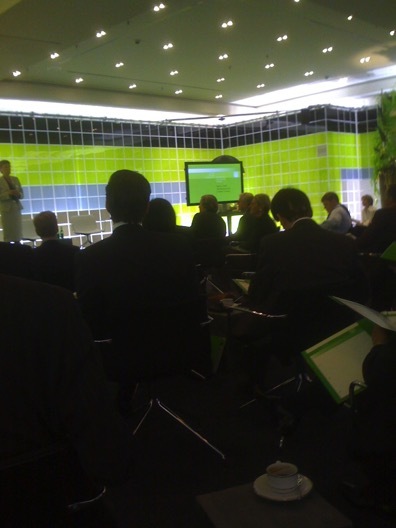 Engaged with Palladium South Med at the European Innovation Movement Symposium. Article in Insight Magazine, Illinois CPA Society. 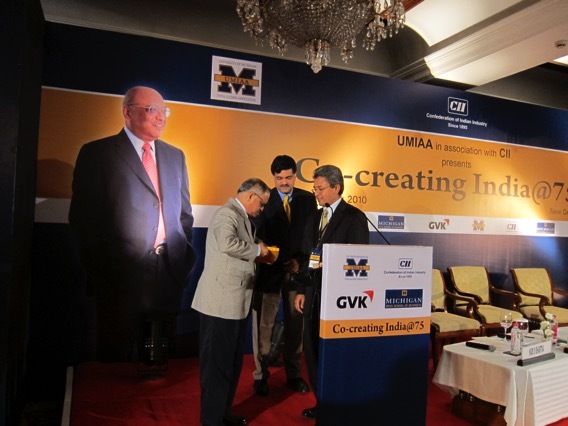 Gave a keynote on Innovation and Co-Creation of Value at the MSI Innovation and Co-Creation Conference. Gave a talk and participated in the RBC Dexia Leaders’ Forum: Managing Growth through Collaboration. 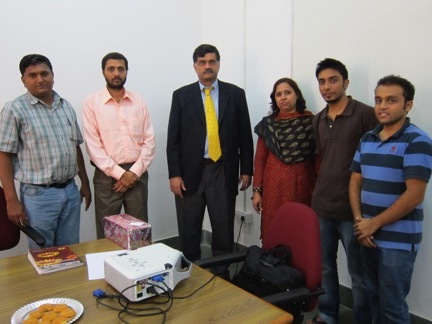 Gave a talk at ITC e-Choupal, Hyderabad, India, and engaged with S. Sivakumar and his team. Conducted an executive program for the SLP Consortium. Engaged with Sabanci Group through Palladium South Med. Organized by Esteban Gomez and Sofia Medem. Led a Workgroup on Co-Creation with Customers. Tim Brown, CEO, IDEO; DIane Hessan, CEO, Communispace; Jorgen Knudstorp, CEO LEGO, and Thomas Stewart, Editor-in-Chief, HBR were discussants. Engaged with Palladium -- Robert Kaplan and David Norton -- at a Strategy Innovation ad Performance Management Summit in Mexico. 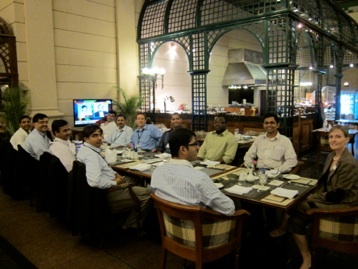 Engaged with Infosys Management Council in Bangalore, India. 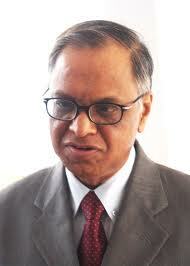 Thanks to N. R. Narayana Murthy. Workshop organized by Society of Information Management, Advanced Practices Council (APC) with member CIOs, to explore new opportunities in using IT to enable innovation and value creation. 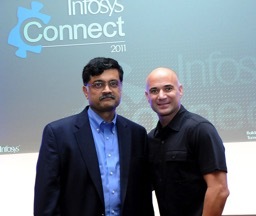 Engaged with Infosys and its Innovation consulting practice on. Organized by Subu Goparaju, SETLabs. 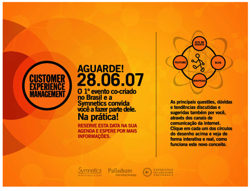 Gave a talk at a Symnetics sponsored event on “Experience Co-Creation”. 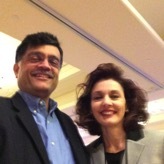 Gave an invited talk at the MSI Trustees Meeting at the JW Marriott Desert Ridge Hotel in Phoenix, Arizona. Gave an invited talk at the University of Arizona, Eller College of Management, at the Lisle and Roslyn Payne Forward Thinking Symposium. 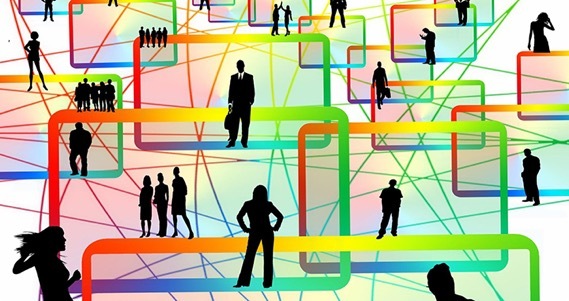 Theme of the event: Marketing in a Connected Customer Era: Social Interactions and Strategic Innovations. 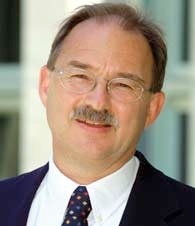 Organized by Robert F. Lusch. 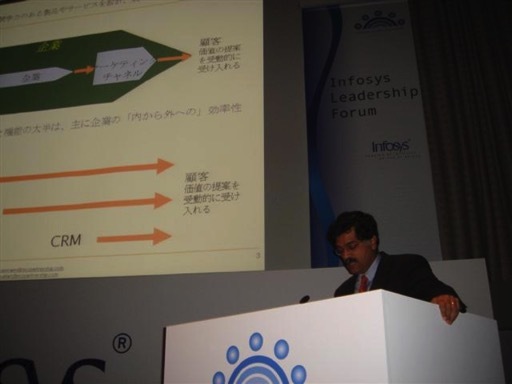 Gave a keynote on “The Future of Value Creation” at an Infosys Forum for CIOs in Kyoto, Japan. 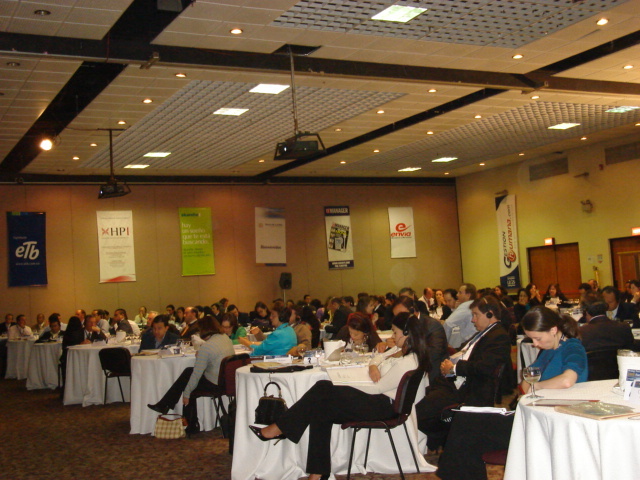 Conducted a workshop on Experience Co-Creation with Symnetics and ECC Partnership, in Monterrey, Mexico. 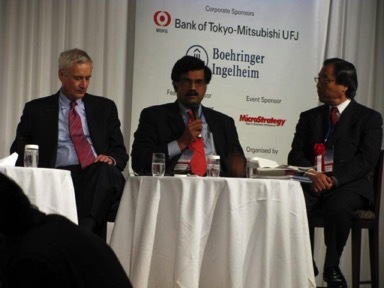 Gave a talk and participated in a discussion on Strategy Innovation at the Palladium Strategy Innovation Summit in Tokyo. Gave a talk at the Open Colloquium on Design. 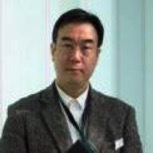 Organized by Kanji Ueda, Professor and Director of the Research into Artifacts, Center for Engineering, at the University of Tokyo. Gave a talk on “Design and the Future of Value Creation” and participated in the Hayashihara Forum sponsored conference on “Science of Design”. Keynote on The Power of Us: Co-Creating Unique Value With Customers at the Business Week Leadership Forum at Madinat Jumeirah Hotel, organized by DNM Strategies. 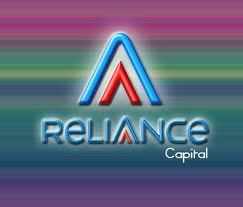 Engaged with managers at Reliance Capital. 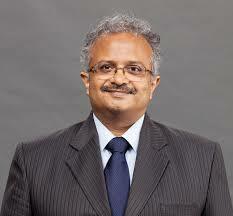 Organized by K. A. Achuthan, head of HR. 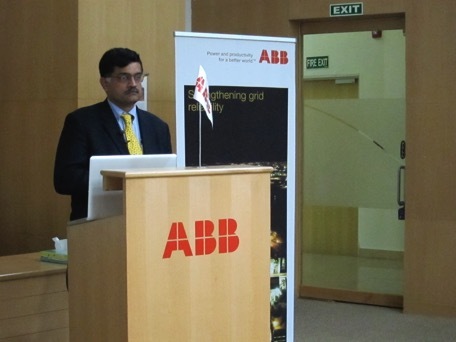 Engaged with folks at ABB India. 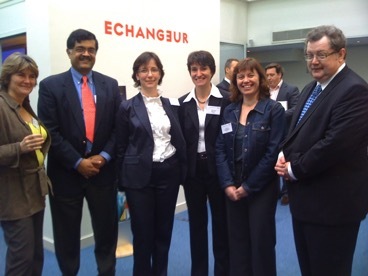 Organized by S. Karun (rear of photo below), head of Sustainability, with Prakash Nayak, Head, Power Systems (front right) . 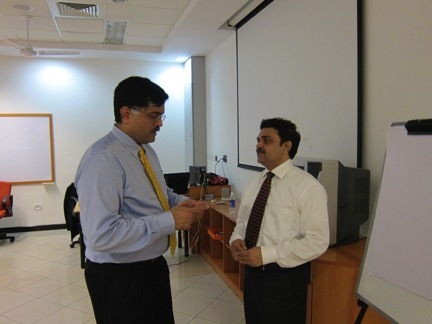 Conducted a Symnetics sponsored workshop on “Customer Experience Management”, with ECC Partnership. Engaged with Senior Managers at the Aditya Birla Group. Organized by Raju Mistry and Anupama Mohan at the Gyanodaya Learning Center. 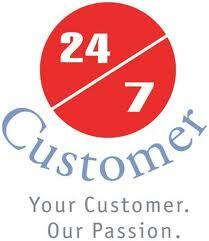 Engaged with folks at 24/7 Customer. 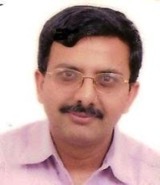 Organized by V. Bharathwaj, Chief Marketing Officer. 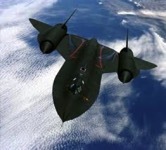 Gave a keynote speech at Lockheed Martin. 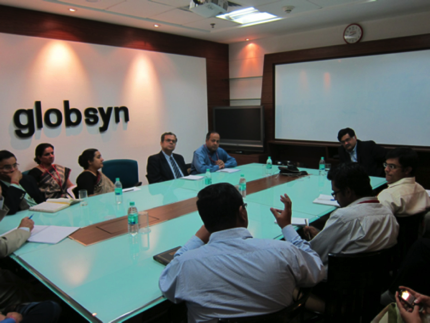 Engaged with Infosys and its clients in the High Tech and Discrete Manufacturing Sector. 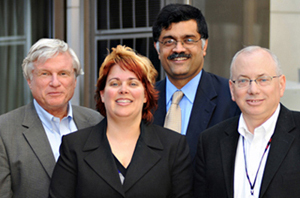 Gave a dinner keynote address at the Evanta CIO Executive Summit in New Jersey on December 6th, 2006 and a joint talk with Jim Noble, CIO Kraft Foods on December 7th. 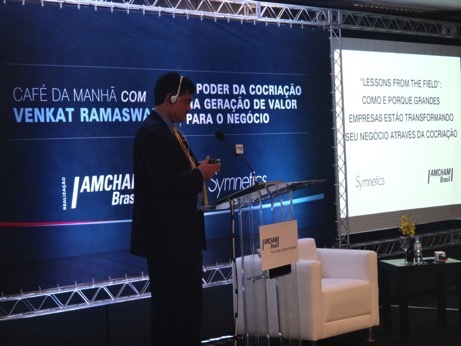 Gave a talk at a Symnetics sponsored event on “A New Paradigm of Value Creation”. 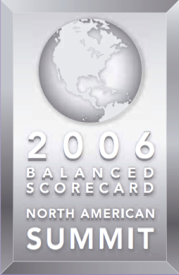 Gave a talk at the North American Balanced Scorecard Summit, San Diego. Keynote at the ARF Executive Series, “Advertising: What’s Next?”. 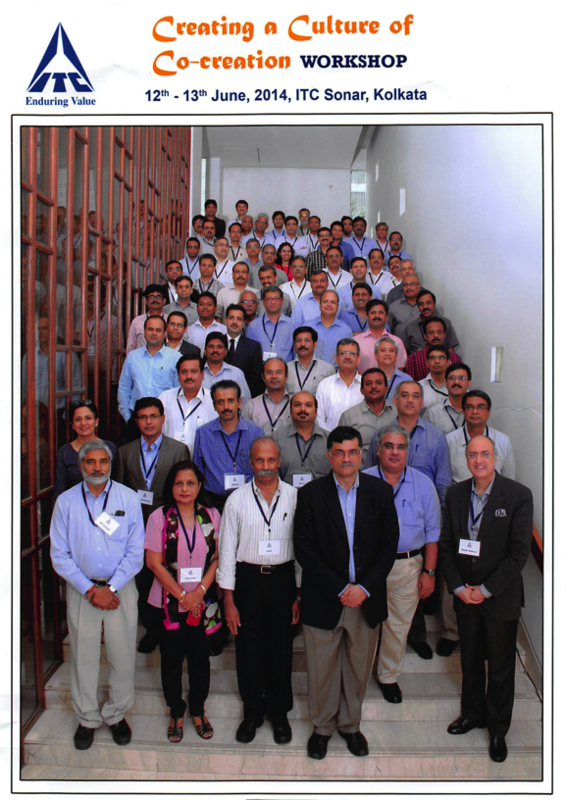 Gave a talk at the Balanced Scorecard Summit on “Innovation: A New Paradigm of Value Creation”. 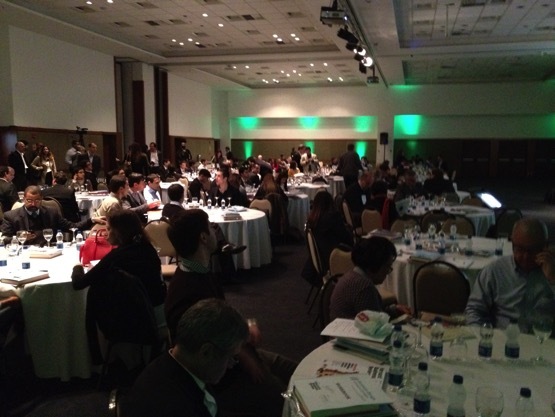 Gave a talk at a Symnetics sponsored event in Buenos Aires on “A New Paradigm of Value Creation”. 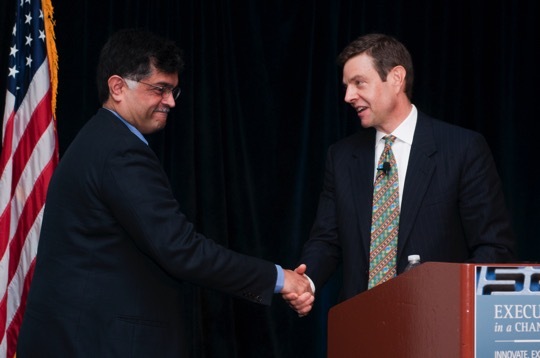 Gave a keynote at the Power Meetings Conference on Healthcare, in Chicago. 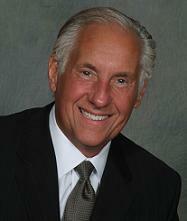 Organized by Dave Ellis, President, Lincoln Healthcare Events. Workshop organized at Nordstrom, Seattle, by Infosys to explore new opportunities in using IT to enable innovation and value creation. 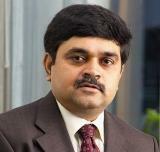 Organized by Subu Goparaju, Director of SETLabs, Infosys. Gave a talk and engaged with the Maritz Strategy team. Gave talk in the “Leadership At All Levels” Brown Bag at the Univ. 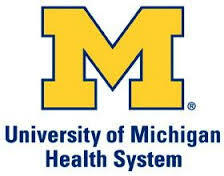 of Michigan Hospital, Ann Arbor. Talk at the Value Co-Creation Institute, International University of Japan. Conducted a 3-day program on Value Co-Creation for the Aditya Birla Group with Francis Gouillart and the ECC Partnership, including Eben Lenderking and Alan Weyl. Organized by Raju Mistry at the Gyanodaya Learning Center. 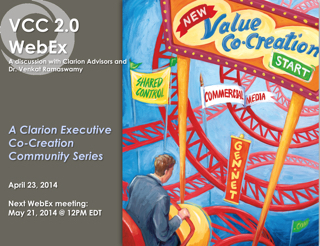 Talk at the Duke Corporate Education center on co-creation and learning. 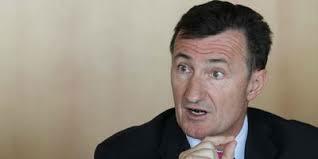 Presented to and engaged with Bernard Charles, CEO, Dassault in Paris. 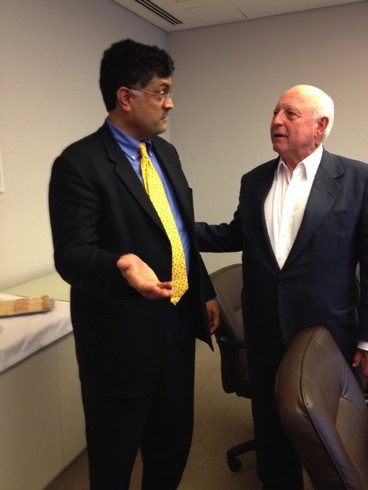 When Bernard walked into the room, he had The Future of Competition in his hands and kindly complimented me. 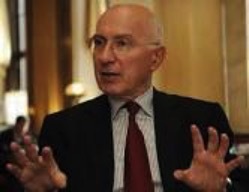 Engaged with Sir Terry Leahy and his senior management team. 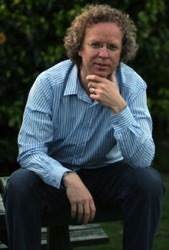 Organized by Eben Lenderking, MAC Partnership. 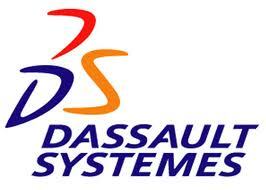 as well as Herve Andorre, HR, on co-creation opportunities in Dassault’s ecosystem. Gave a talk and engaged with Nokia Asia Pacific team. 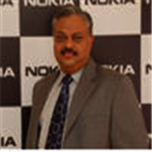 Hosted by Sanjeev Sharma, Nokia India. Engaged with Rob Kulis, General Manager, Outpatient Imaging Centers, GE Healthcare Technologies, and his team at the University of Michigan, Ann Arbor. 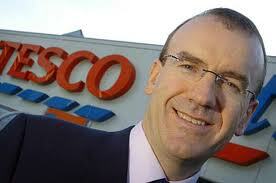 Thanks to Rob for his enthusiastic and passionate efforts. 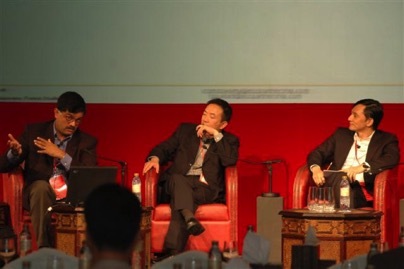 Keynote at the Business Week CEO Insights Forum, Chongqing, China, organized by DNM Strategies. Engaged with senior officers at the Government of Hong Kong Special Administrative Region. Gave a talk on “Innovation in Public Services”. 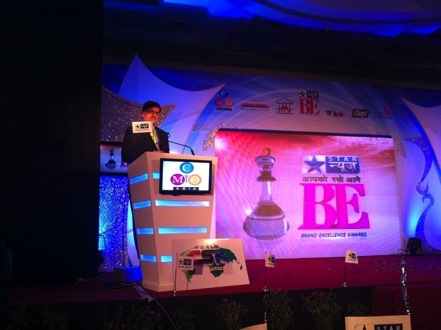 Keynote Presentation at the Bharti CEO Conclave. 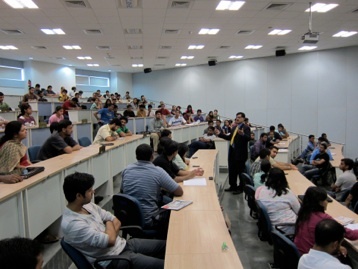 Gave a talk on Experience Innovation and Co-Creation at the GE John F. Welch Technology Centre, Bangalore. 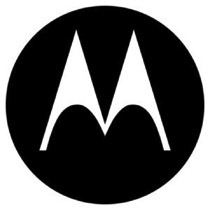 Presentation at the Motorola Symposium on The Future of Competition. Engaged in a session with Rhonda Germany, VP Strategy and Business Development, James O’Hern, Director Leadership Development, and Mark Sullivan, Director Corporate Learning. 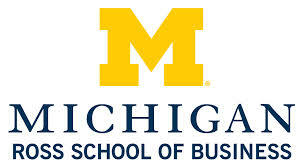 Organized by Brian Love, Executive Education, University of Michigan Business School. 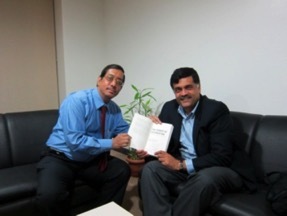 Engaged in an interactive session with Sundar Subramaniam, Corporate Learning and Development. 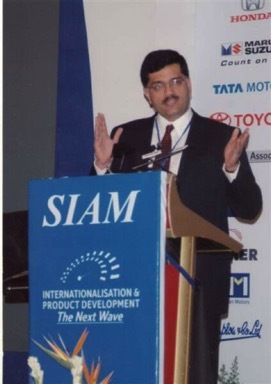 Gave a keynote speech at the SIAM forum in New Delhi. 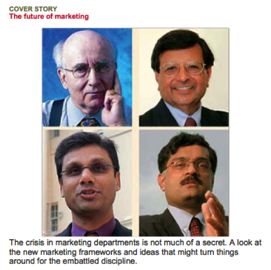 Interview in Businessworld, India, on The Future of Marketing. Reaction by S. Sivakumar, ITC. 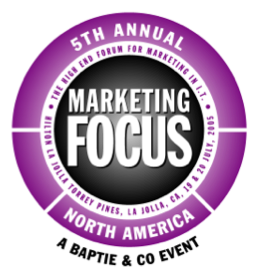 Gave a keynote presentation at the Baptie 5th Annual Marketing Focus North America event. Received the Best Speaker Award. 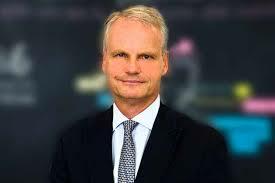 Engaged in a session with Moller Maersk CEO Russ Bruner and his team. 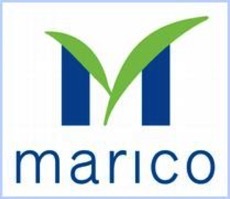 Presentation and discussion at Marico, Mumbai, with Harsh Mariwala, CEO Marico, Rakesh Pandey, CEO Kaya Skin Clinic and the senior management team. 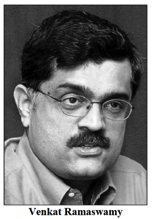 Organized by Pankaj Bhargava, head of HR. 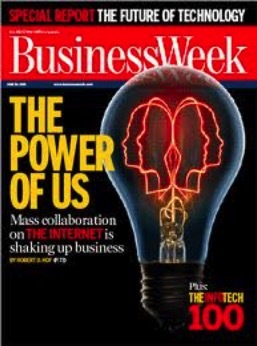 Mention of The Future of Competition in the cover story, The Power of Us. 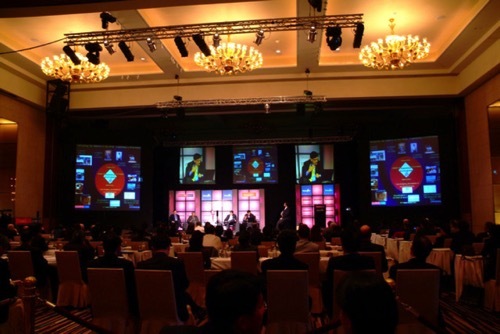 Keynote at the Business Week Asia Leadership Forum at Bangkok, organized by DNM Strategies. 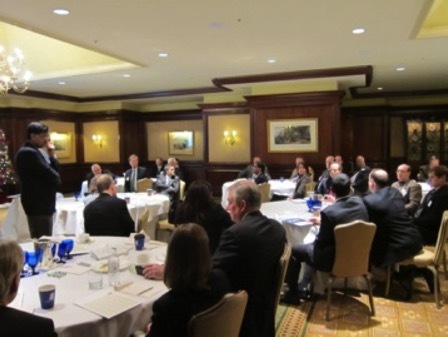 Presentation at a Pitney Bowes internal strategy meet in New York, involving Doug Neal from CSC Research & Advisory. Organized by Kirt Mead, MAC Partnership. 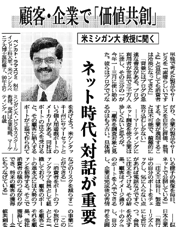 Article in the Nikkei, Japan. 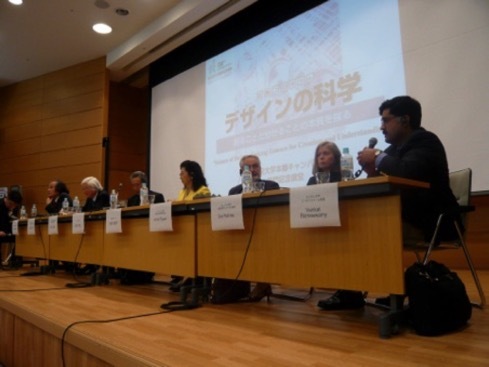 Talk at International University of Japan. 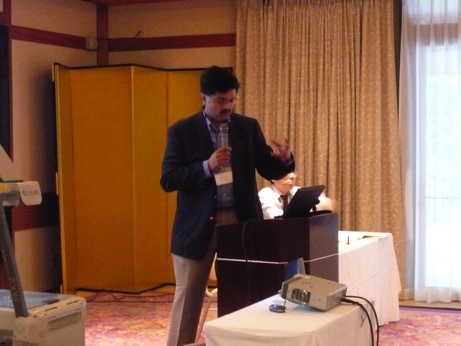 Engaged with senior managers at Club Tourism, Japan. 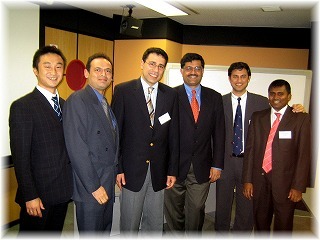 Engaged with senior managers at SONY, Japan. 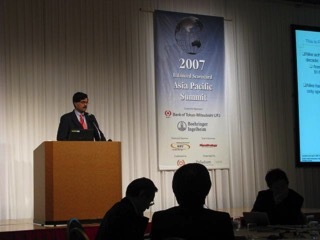 Engaged with senior consultants at NRI Japan, and presented at a NRI client forum organized Katsutoshi Murakami. 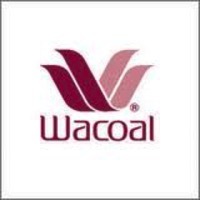 Engaged with Yasuyuki Cho San, Business Development, at Wacoal in Kyoto, Japan. 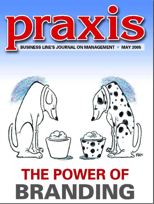 Article in the Praxis, India. Engaged with Sanjeev Sharma, CEO of Nokia, India and his senior management team, on the implications of Value Co-Creation for Nokia. Organized by Bimal Rath, head of HR. Awareness session on exposing senior managers at Godrej to new ways of thinking about innovation, customer experience, and co-creation of value. Organized by Visty Banaji, head of HR. Article in the Financial Times, UK. 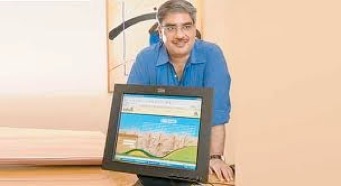 Article in the Business Line, India. Event organized by Retailers Association of India. 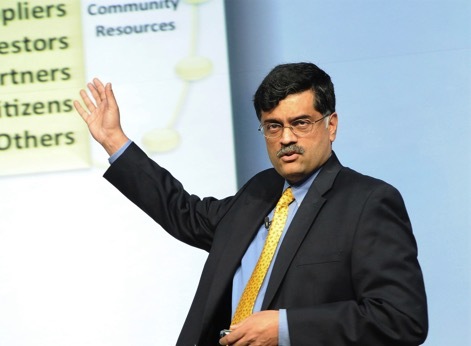 Conducted a workshop at Infosys, Bangalore on Value Co-Creation and the Strategic Role of IT. Organized by Krishnan Narayanan, and led by Subu Goparaju, Director of SETLabs. 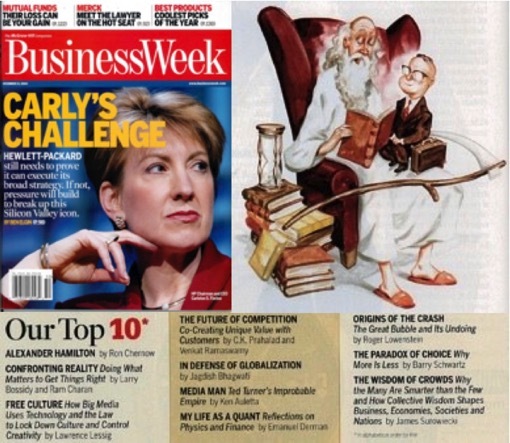 Article in Business Week on The Empathy Economy by Bruce Nussbaum mentioning The Future of Competition. 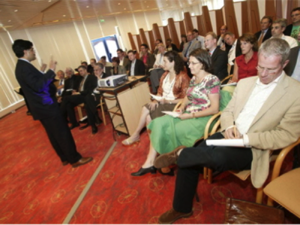 Gave a seminar on Co-Creating Value with Customers. 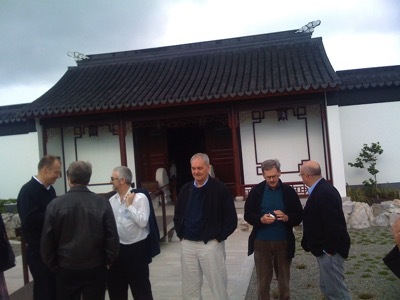 Event organized by Kent Youil, University of Michigan Executive Education, Hong Kong. 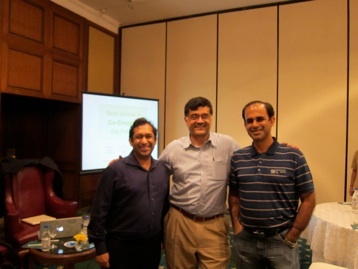 Gave a talk on Co-Creating Customer Value. Hosted by Lee Gek Eng. 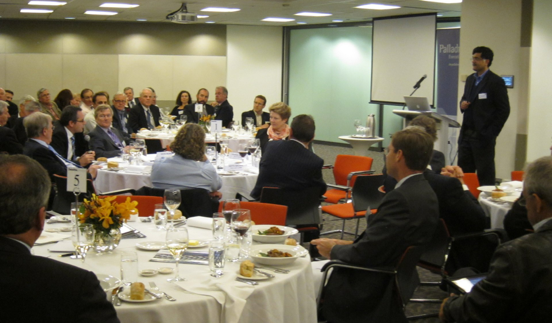 Gave a talk to about 20 CEOs from the Hong Kong and broader Asia-Pac region on The Future of Competition. Article in the Hindu, India. Article in the Deccan Herald, India. Gave a talk on Co-Creating Brands with Consumers at the Brand Summit, Chennai. 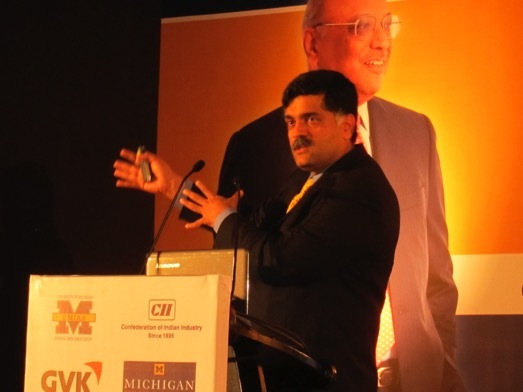 Event organized by Confederation for Indian Industry (CII), India. 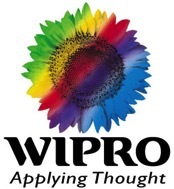 Engaged with people at Wipro on the next practices of Experience Quality Management and Co-Creation of Value with Customers. 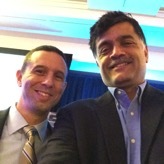 Engaged with David Moschella at CSC Research Advisory and Services, and other technology and innovation research executives at the Leading Edge Forum. 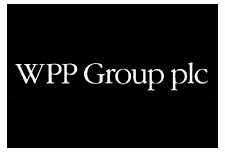 Engaged with senior management at WPP, London. Gave a talk to the Y&R group in London. Organized by David Butter, MAC Partnership. 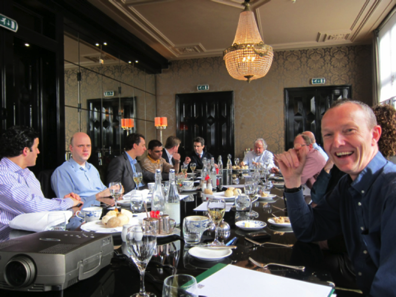 Engaged with senior management at Hill & Knowlton, London. 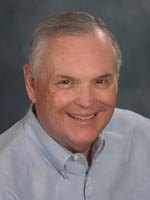 Organized by James Kelly, MAC Partnership. 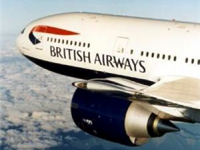 Engaged with British Airways, e-Commerce group. 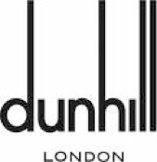 Engaged with Dunhill Retail Stores. 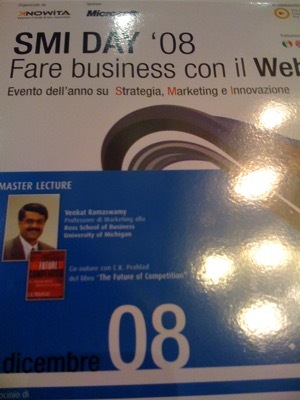 Gave a talk on Co-Creating Unique Value with Customers: The Future of Competition. Organized by Kee-Hian Tan, MAC Partnership. 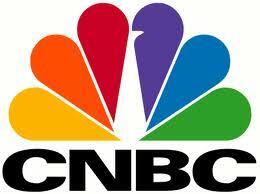 Gave a talk and participated in an Executive Forum hosted by CNBC, together with C. K. Prahalad. Engaged with Francis Gouillart and the MAC Partnership group, Boston. 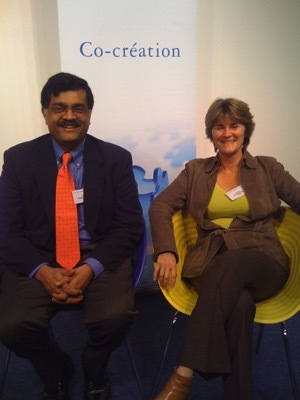 Start of a partnership that evolved into co-founding the Experience Co-Creation Partnership, in Concord, Massachussetts, and co-authoring the book, The Power of Co-Creation. 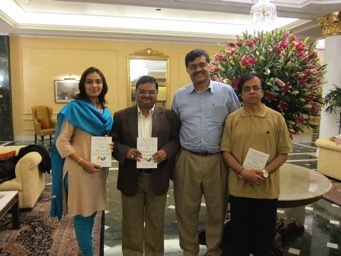 Coverage of the Future of Competition book in The Hindu newspaper, India. 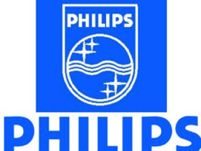 Gave a talk at Philips, India. Gave a talk at HP Research Labs, Palo Alto, to the Digital Imaging group. 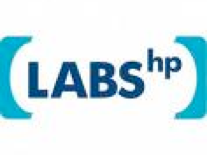 Gave a talk at HP Research Labs, Palo Alto to the Emerging Markets group. 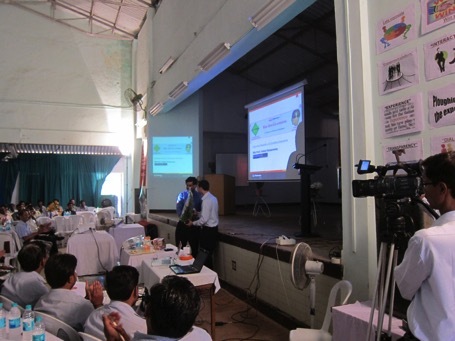 Gave a talk at Infotech, Hyderabad on Technology and Experience Innovation. Hosted by Chairman Mohan Reddy. 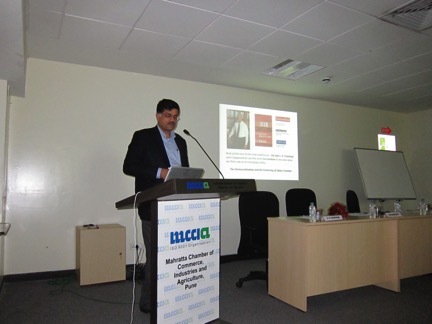 Gave a talk at ICFAI Center for Management Research, India, and engaged with ICFAI casewriters. 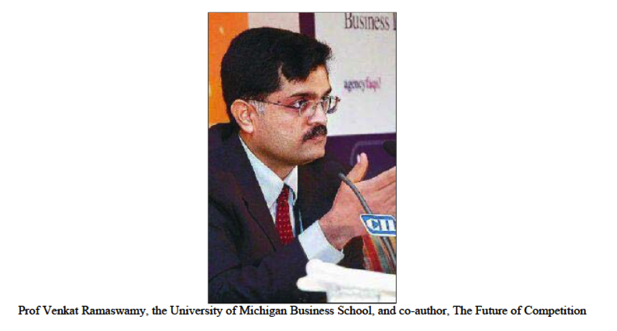 Coverage of Future of Competition book in Financial Express India. 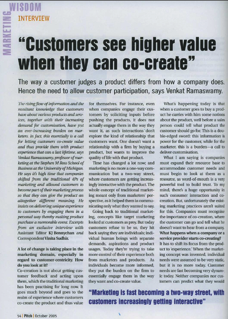 Article on Co-Creating Value with Customers. 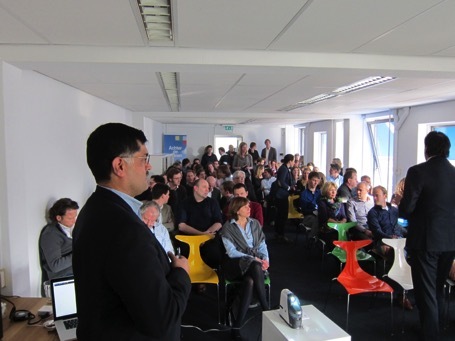 Presentation at the European Centre for Experience Economy, Netherlands. 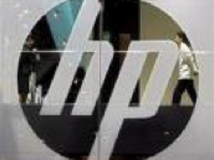 Engagement at HP Research Labs, Bangalore. 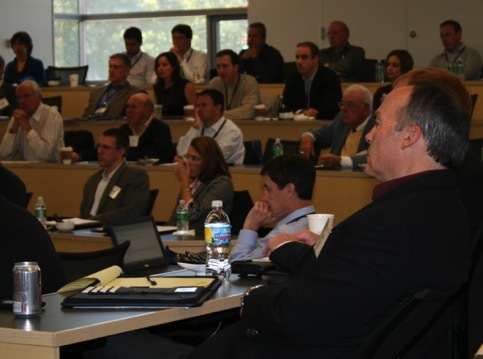 Keynote Presentation at the e-Business Thought Leadership Forum at Babson, Boston. 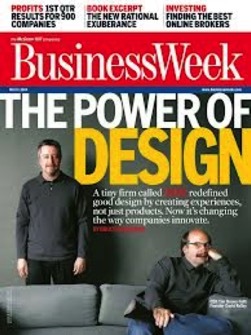 Mention of The Future of Competition in the cover story, The Power of Design. 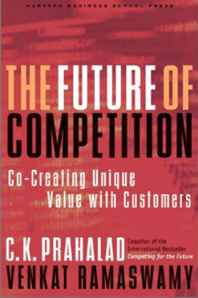 Review of The Future of Competition book. 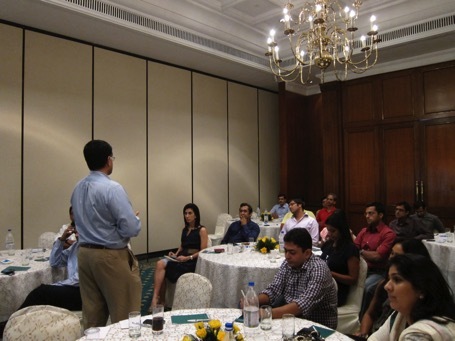 Conducted a Customer Experience and Product Innovation Workshop. 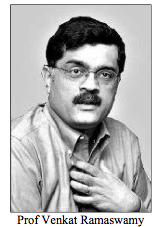 Special thanks to Gopal Srinivasan, Founder and Director, TVS Electronics. Gave a talk on Value Creation and the Future of IT. 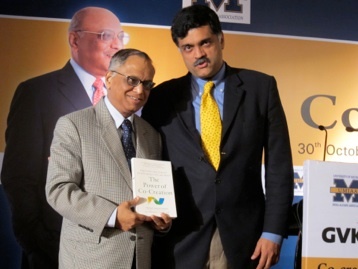 Hosted by Arvind Mehrotra and Rahul Patwardhan, NIIT Technologies. 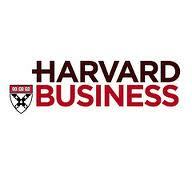 Review of the Future of Competition book in The Globe and Mail. 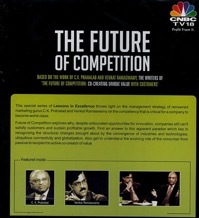 Coverage of the Future of Competition book in Businessworld. 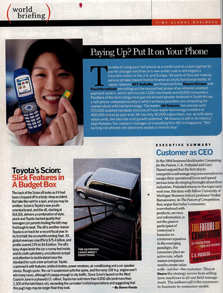 Mention of the Future of Competition book in Fast Company article. Exclusive Interview on The Future of Competition. 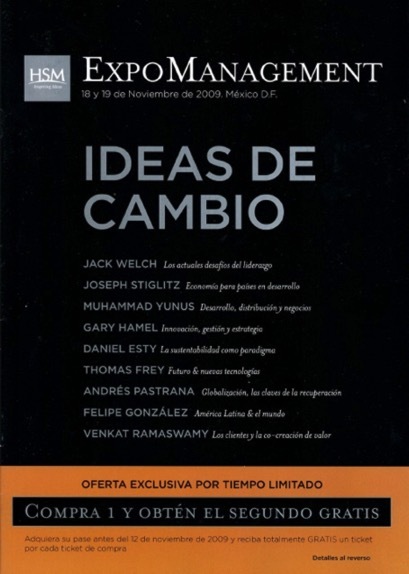 "An important book, full of disruptive ideas." Adapted from The Future of Competition. The Future of Competition: A “how-else-to-think” guide. 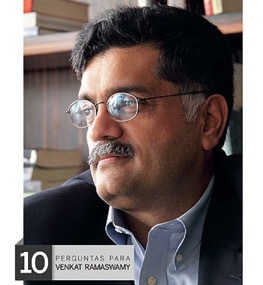 Book review by S. Ramchander. 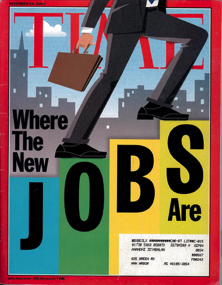 Editor's Note: Customer, Partner, or Both? 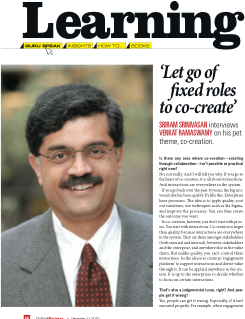 Interview in CIO Insight Magazine on the next practices of CRM. 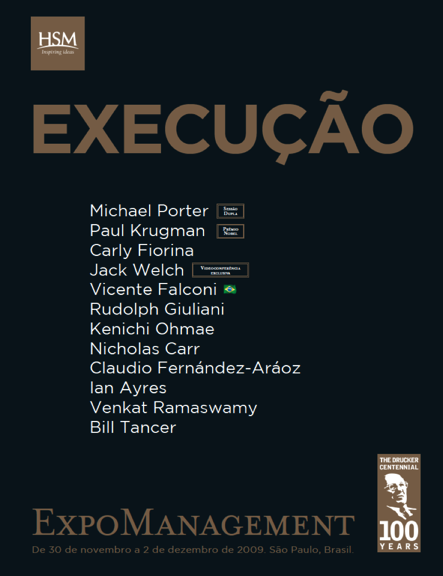 The Future of Competition book featured in “Executive Summary” in World Briefing section. 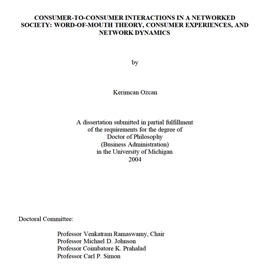 Dissertation Defense of Kerimcan Ozcan. 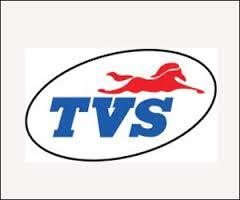 Gave a talk at TVS Motor on New Product Development and engaged with the Fiero team in the field on Customer Satisfaction. 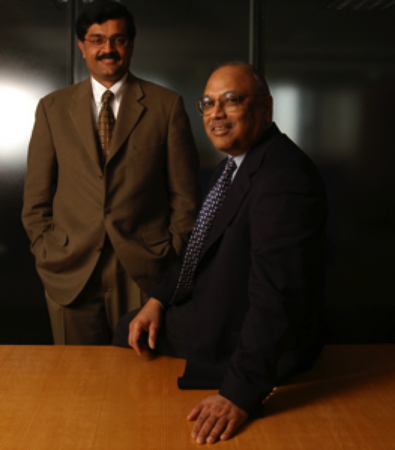 Thanks to R. C. M. Chandramouli, VP Marketing and Sales, and C. P. Raman, President. 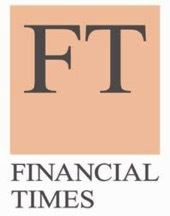 Review of The Future of Competition book in the Financial Times. Invited talk at Eli Lilly. 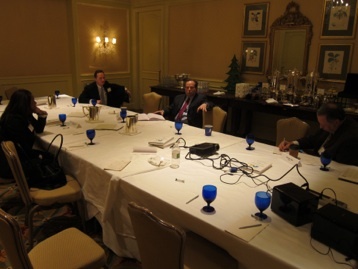 Roundtable at InformationWeek on the new role of the active consumer and the emergence of the customer economy. 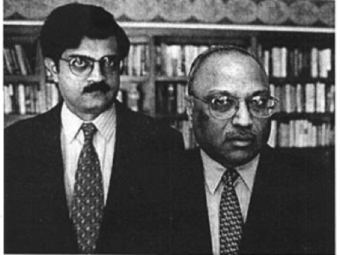 Based on the article Consumer Centricity by C. K. Prahalad, Venkat Ramaswamy, and M. S. Krishnan. 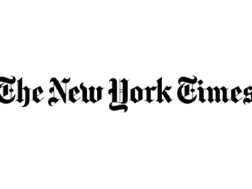 Article in the New York Times on the Harvard Business Review article, “Co-opting Customer Competence” (Prahalad and Ramaswamy, 2000).